An installation based on Neo Geo. 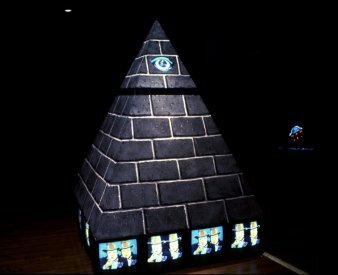 A physical pyramid combining Masonic imagery of the front of the US one dollar bill and Japanese currency (Mount Fuji, colloquially mis-known as “Fujiyama”). 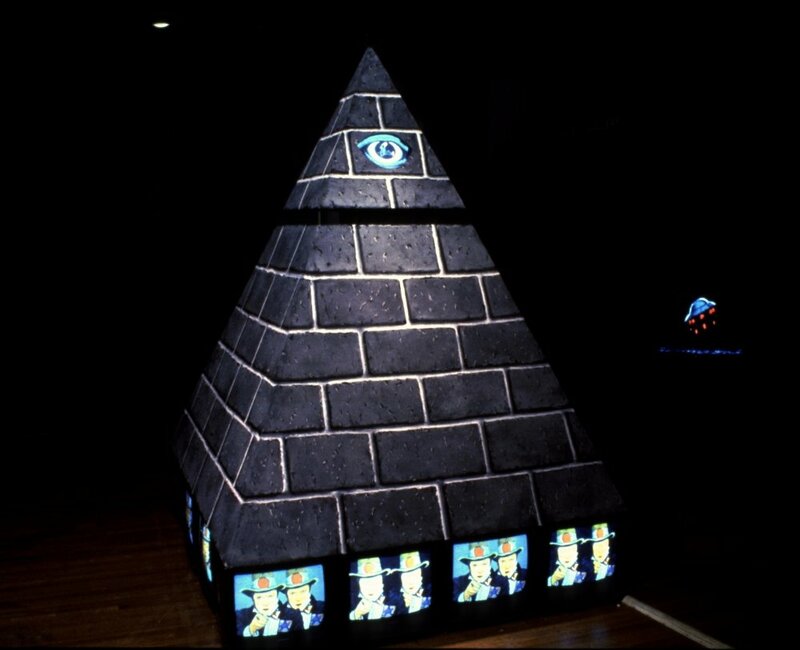 Installation shot of The Fujiyama Pyramid Project, Long Beach Museum of Art.